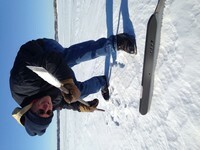 I use my DN 5506 for family cruising on local lakes and I am hoping to find a free or low cost runner plank. I commonly have 2 people in the boat, so a hefty plank is best. Are you looking to free up some storage space? Give your old runner plank another life!